• The Bursera graveolens (botanical name) is a typical tree of the South American Pacific coast, closely related to incense as it belongs to the same botanical family (Burseraceae). 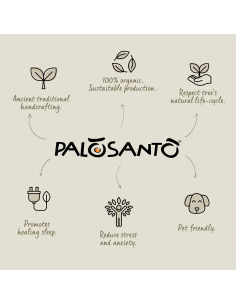 • Herborea srl sells its products under the brand Palo Santo®; this brand ensures the best product, quality of work and respect for the environment. 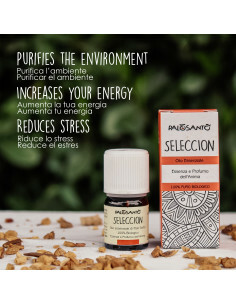 • Its wood is characterised by a strong natural fragrance and has been used since ancient times by indigenous people for its many psycho-physical beneficial properties and as a spiritual remedy to purify the air from bad energy and annoying insects. 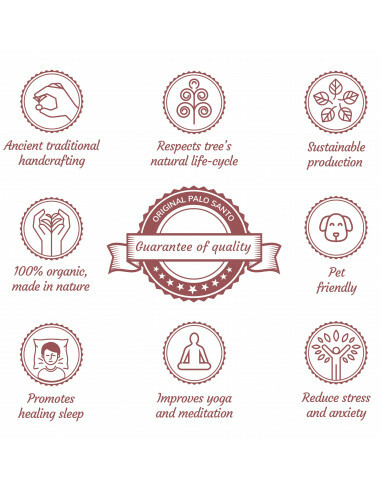 • The range also includes handmade jewellery from the same aromatic wood. 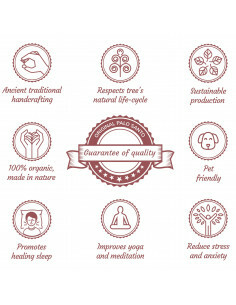 A gift to yourself, to be accompanied by positive vibes and protection for the body and soul.